Merchant Services America, an agent of First Data, offers custom programs for all types of financial institutions. We can evaluate your needs to build a program dedicated to helping your business banking customers with their merchant services needs. With our bank referral program, your institution will receive a dedicated sales rep who will assist you in marketing and attracting new merchant customers, and retaining existing customers. 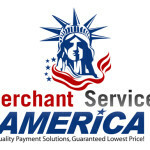 Your partnership with Merchant Services America includes dedicated sales, customer service, 24 x 7 tech support, equipment deployment and training. Bank Referral Program lets your team focus on core banking products. We provide wholesale processing rates, and value added services like industry leading data protection TransArmor. We also have the highest approval rates in the industry, which helps minimize the amount of declined bank customers. Our value added programs allow you to provide quality payment processing and value added services for all your business banking customers. Your Institution can reduce operating costs and increase profits in a partnership with Merchant Services America. For additional information on building a partnership with us, please contact Solon Zafiropoulos at (888) RX MERCHANT ext 701, or email solon@merchantservicesamerica.com.